There is an expression that isn't used much today. In fact, I forgot about it until I saw this picture of one of my radical feminist SHEroes, Mary Daly, holding a labrys -- otherwise known as a battle axe -- in Ms. magazine. The expression is "the old battle axe," and its meaning is somewhat derogatory. It refers to a hard-headed, domineering woman. For example, a man might make a reference to his wife by saying, "I'd better be getting home to the old battle axe." And yet, the battle axe has a long history as a symbol of women's power. According to lambda.org, the double-headed axe was used for harvesting as well as a weapon. It was a favorite of early Amazons that populated what is now Kazakstan in Central Asia. It was also used in the ancient town of Catal Huyuk, now Turkey, where the Earth goddess-worshiping people used it to clear land and "prospered without conflict for 1,500 years." The labrys figured prominently in the motifs of the ancient Minoan society on the island of Crete. According to lamda.org, the Minoan society was "predominantly matriarchal" and its religion featured a bare-breasted snake goddess, believed to be a protector of women as well as a symbol of fertility and agriculture. Dr. Christopher L.C.E. Witcombe, a professor of art history at Sweet Briar College in Virginia confirms, "There is plenty of archaeological evidence to indicate that women occupied an important if not dominant position within the practice of Minoan religion ... the predominance of goddesses ... is attested to by the dominant role played by priestesses in religious ceremonies and the presence of women in ritual context ... Moreover, men are rarely seen in commanding positions, despite attempts to identify them in such positions ..."
The labrys was used for centuries throughout Europe until it was replaced by the sword as a weapon, and the plow as an agricultural tool. 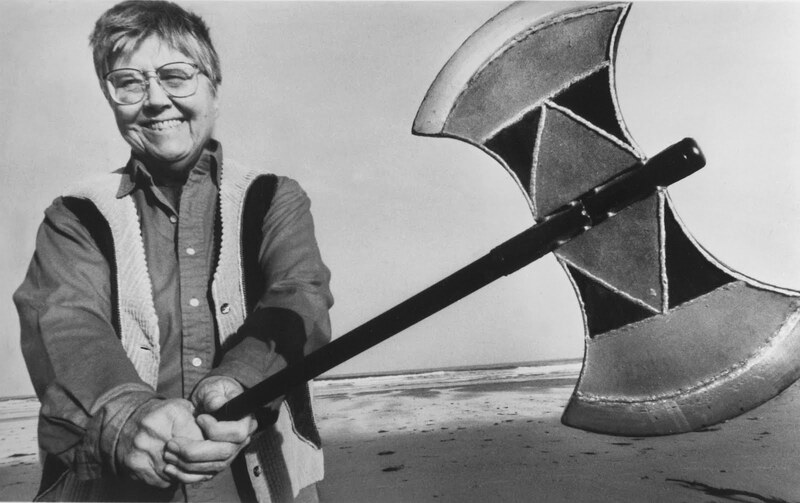 Although not as prominent today, the lore of the battle axe made it a popular symbol of feminist and lesbian power in the 1970s. This tiger's eye and silver necklace from my jewelry box could now be considered "retro" as well as historic and symbolic. that is a crazy old bat not a hero. She should seriously put that weapon down before hurting herself. A double headed axe is for a start a TWO handed weapon. Next she is repulsive. Her ideals are basically men are useless. They should be subservient to women. The idea of feminism is equality of both sexes, she clearly missed the point. an association between women and axes doesn't come to mind; rather, an association reached by millions of others--between woman and the fertile land--comes to mind; using an axe in order to "work the land" in fact re-emphasizes it's symbolically male nature, given the sexual duality of humanity. Whether a society is "matriarchal" or "patriarchal" seems, historically, to have more to do with whether the society is in dire need of protection and provision from men or not, via War & environmental threats (the Amazons being an exception that proves the rule). 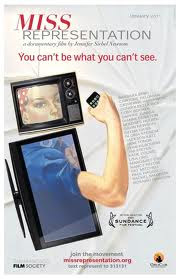 But the environment of a people changes, and so too does the gender-values of the tribe. Rome began as a male-dominant society, but before its' collapse, female values and issues lay at the forefront of their politics. But in both cases, patriarchy or matriarchy, a proper division of symbolism and and an emphasis on the importance of both sexes is--and should be--the rule. It just so happens that the Axe is a more masculine symbol; among the most masculine, in fact. Alternately, the axe has always had symbolic significance in the roles of authority and political power, so if a matriarchal society depicted women with Axes, it would not necessarily associate the axe with femininity per se, but with the power certain women within that tribe occupy. But for men it is different; axes are tools for cutting down trees and construction; they are weapons for attacking enemies and defending the tribe. Building, creating, defending, and destroying are broadly considered to be masculine traits across all societies, just as the earth and soil is considered to be a sacred feminine symbol across virtually all cultures and societies. There's just no serious, consistent link between axes and women, historically, practically, or symbolically. That said, I am curious about the etymological origins of the phrase "the old battle axe" as a euphemism for one's wife. What a lot of eristic trumpery! This nonsense is evidence of a closed mind that will support a mendacious premise in order to satisfy a desire to strengthen another feminist confirmation bias contrivance. The writer's extreme solipsism is on show here. Wow these comments are so foul I thought this article was beautiful and respectful to Women well done! Right?! I just found this on Google because I was looking for the etymology of "battle-axe" as an epithet for an intimidating woman, which isn't really the topic of the post but I found it interesting anyway. Wasn't expecting so many stupid, defensive, pretentious, etc. comments. The history of the battle ax is old way older than many of the stories and legends we hear of today, the god Shiva has and battle ax at the lower part of his trident spear, Israel in the bible is said too be gods battle ax ,the amazons or ladies of ama tresure this symbol as one of there most sacred, nearly all the ancient and some modern cultures globally use this symbol. Shango is known as the owner of the double headed ax, given him by his two mothers and blessed by the great father, it is a sign of royal king ship , the battle ax has a long universal history showing its history threw out different periods in history . Too me most people seem too have a limited understanding about this weapon .